A few days ago I reblogged a piece from Still Laughing At UKIP, reporting the massive racial abuse and vilification directed against the Labour MP, Chuka Umunna, by the Kippers on Facebook after he had the audacity to observe that they weren’t actually very good at spelling and grammar. The article’s ‘Racism. Uncontrolled, Mass Racism’, and it’s at http://stilllaughingattheukip.wordpress.com/2014/06/23/racism-uncontrolled-mass-racism/, if you want to check it out for yourself. The racist remarks reported by the Kipper Smoker include the crass, racial insults of ‘monkeys’ and ‘spear chuckers’ to describe Blacks, as well as remarks that people of ancient African extraction are ‘uncivilised’. So let’s go through a few facts about evolution and African civilisation, just to straighten the record. The comments about ‘monkey’s recalls the daft and dangerous racial hierarchies Europeans drew up in the late 18th and early 19th centuries, which placed White Europeans at the top of the evolutionary ladder as the apex of human evolution, and Blacks at the bottom. The lowest rung was occupied by Aboriginal Australians. Below them were Orang-Utans, which Europeans were originally unsure whether they were human or apes. Science has overturned this classification, and I cannot see any modern, ethical archaeological department ever endorsing such claims that certain sections of the human species are inferior to Whites, no matter what the authors of the infamous ‘Bell Curve’ may claim about innate differences in cognitive ability between different ethnic groups. It is true that physiologically Aboriginal Australians have many archaic features, such as a pronounced brow ridge. This is hardly surprising considering just how ancient these people are, having colonised the continent about 40,000 years ago. They are, however, just as human as every other part of the human race. Their facial features are also very close to those of the ancestral humans that colonised Europe at about the same time. Skeletons showing Australian Aboriginal characteristics from that remote epoch have been found in Southern France. A little while ago I went to a seminar at Uni taken by an American professor, who was one of the world’s greatest authorities on early man and the Neanderthals. 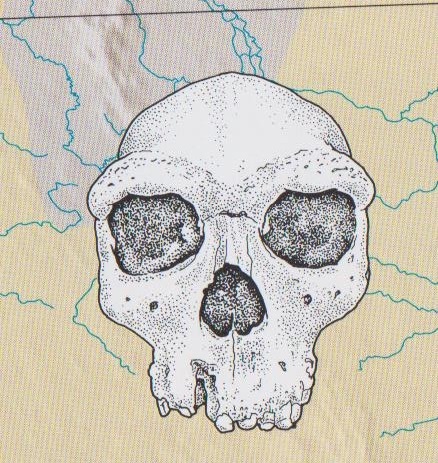 He pointed out that the skeletons of the early modern humans – Homo Sapiens Sapiens recovered from that period have archaic features, and are less gracile than African skeletons from the same period. If you want to put it crudely, at that stage the ancestors of modern Europeans were less evolved than their cousins in Africa. Despite their physiological differences, they were still Homo Sapiens Sapiens. Their appearance does not saying anything about their essential humanity. Now let’s deal with the claims that Africans are somehow ‘uncivilised’. For a start, Africa is a continent, not a single country, and contains a plethora of cultures and peoples, whose lifestyles can vary considerably. The Bushmen of South Africa – the Khoisan peoples – are hunter gatherers, while many of the peoples of East Africa were traditionally nomadic pastoralists, herding their cattle across the Savannah. Others have long been settled in village as settled farmers and agriculturalists. And some of these peoples have developed highly advanced civilisations. The Nubians of the Sudan took over much of the culture of ancient Egypt, and for a time even ruled the ancient Land of the Nile. Regardless of the claim that the Ancient Egyptians themselves were Black, there was a dynasty of Black pharaohs, whose empire stretched into the Ancient Near East. One of these was the pharaoh Taharqa, who is mentioned in the Bible for his part in struggling with the Assyrians for the control of the various minor, Near Eastern states dominated by these two superpowers, like ancient Israel. The Nubians later converted to Christianity, and had a literate, Christian civilisation with strong links to Egypt and the Byzantine Empire until the country was conquered by Islam in the 14th century. Archaeologists have been studying the remains of their ancient culture since that part of Africa was opened up to Europeans in the 19th century. Further east is the equally ancient culture of Abyssinia, now Ethiopia. This too is also extremely ancient. There were early centres of civilisation at Meroe and then Aksum. Although Meroe was a literate civilisation, they spoke a language completely unrelated to any other, so that although their inscriptions can be read, scholars at still at a loss to know what they mean. The main languages of modern Ethiopia, Amharic, Tigre and Tigrinya, are descended from Ge’ez, which in turn is descended from the South Arabian languages, such as Sabaic, when colonists from these civilisations conquered and settled there well over 2,000 years ago. It converted to Christianity under its king, Ezana, in the fourth century, before the Anglo-Saxons had managed to over-run Roman Britain. 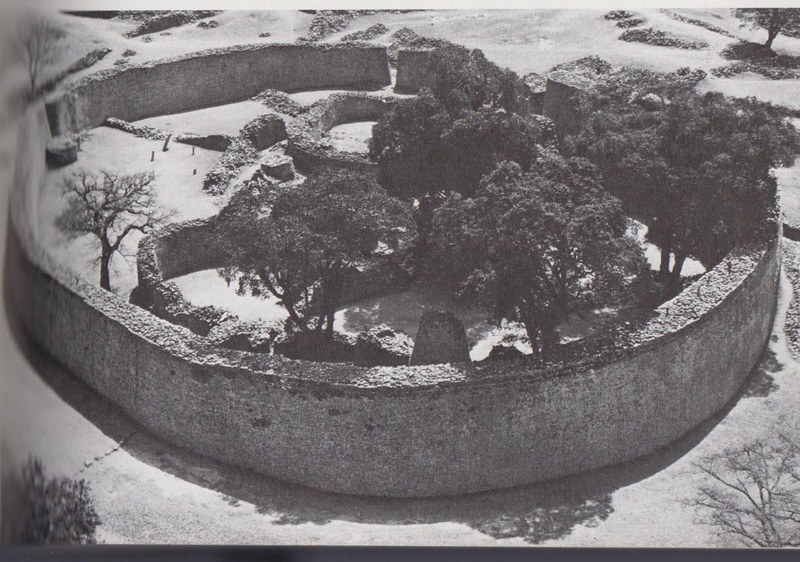 South of Ethiopia, the great Muslim civilisation of the Swahili emerged later in the Middle Ages. They adopted not only Islam, but also other features of Islamic and Arabic life and culture. They built impressive cities from blocks of coral taken from the east African reefs, which were covered with a kind of lime wash produced by burning the same coral. In their time, they created some of the most outstanding examples of Islamic architecture, some of which can still be seen today in places like Zanzibar. 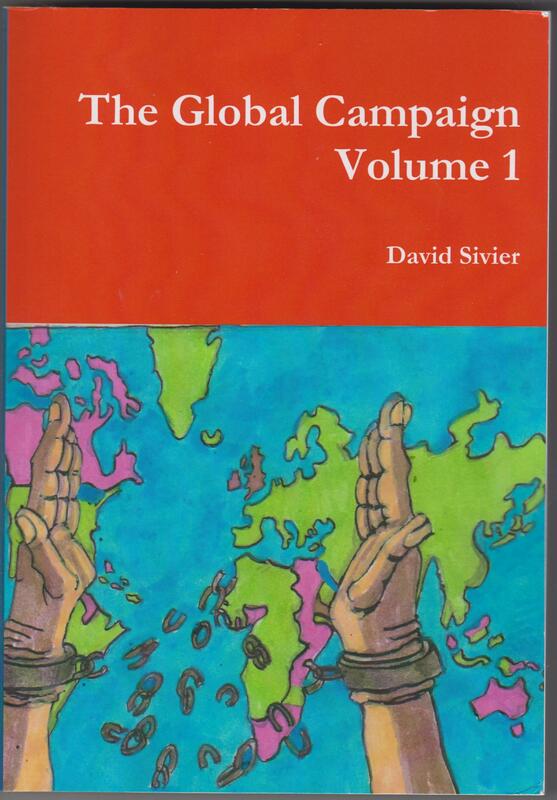 On the other side of Africa, other civilisations emerged which reached an extremely high level of civilisation. Africans in what is now Nigeria began smelting iron early, long before Europeans, in c. 1800 BC, due to the natural iron bloom available in the region. The earliest African artistic culture outside ancient Egypt, the Nok, appeared in Nigeria in the 3rd century BC. This is known for its highly stylised sculptures, the artistic skill of which has drawn admiration from modern art experts and connoisseurs. 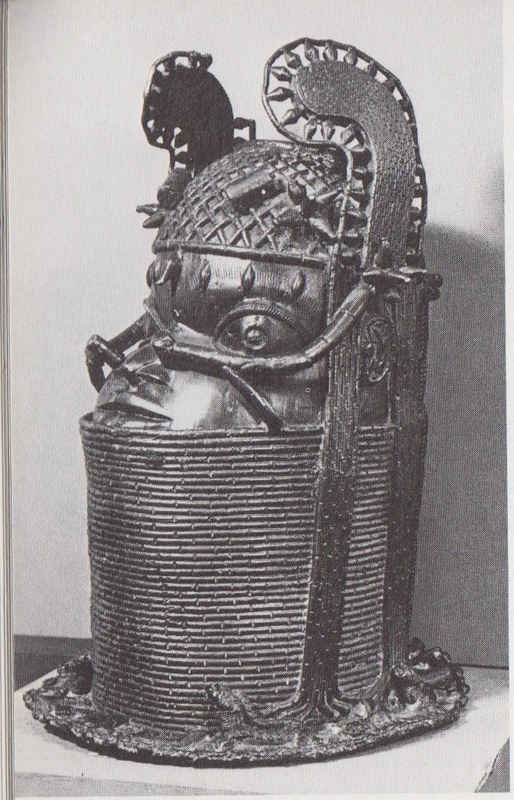 Other West African cultures also have been the subject of considerable scholarly interest for the high standard of their art, such as Ife and Benin. Both of these cultures produced extremely naturalistic metal sculptures. The Benin bronze heads, produced to form part of a shrine to the rulers’ life-force, are justly famous and are found in many European collections after they were looted by punitive raids by the British in the 19th century after they expanded into the region. Sculpture of a king of Ife. Similar works have been found in terracotta dating from before the 12th century. These cultures also impressed European observers and traders when they first encountered them in the 16th and 17th centuries. They commented on the size of the cities they encountered, as well as the chastity of the indigenous women, which they considered to be far greater than their own. These civilisations did practise much that struck Europeans as barbaric, such as human sacrifice. What surprised them about this, however, was that such a cultured and civilised people should actually engage in such horrors. Captain Denman of the West African Squadron, charged with suppressing the slave trade between Africa and America, stated this in his evidence to a parliamentary inquiry in the 1840s. When asked whether mass human sacrifice really existed amongst the peoples of Dahomey, Ashanti and other cultures in the region, he replied that it did, and that it ‘was remarkable, given the achievements they have made in most of the arts of civilisation’. 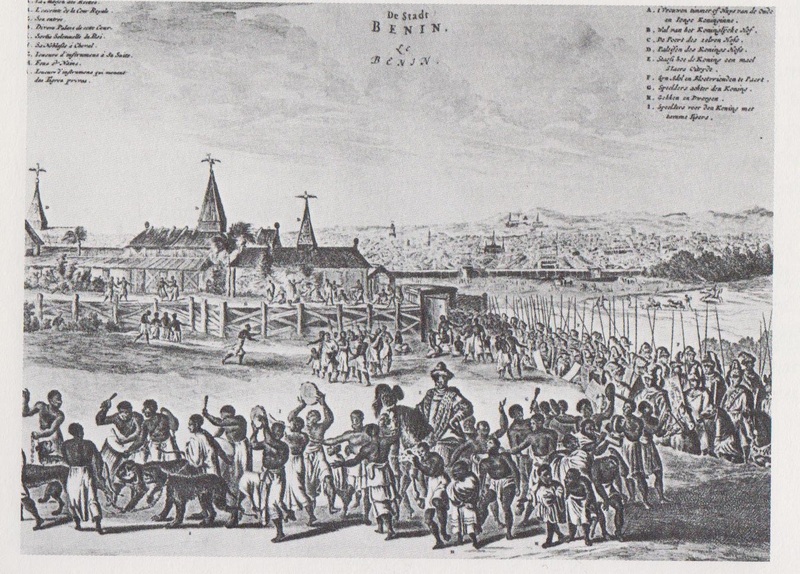 In other words, what shocked Europeans wasn’t that the Africans committing these atrocities were barbarous savages, but actually the complete opposite: they were highly civilised, and so the massacres they committed were even more shocking and horrifying by contrast to the rest of their civilisation. 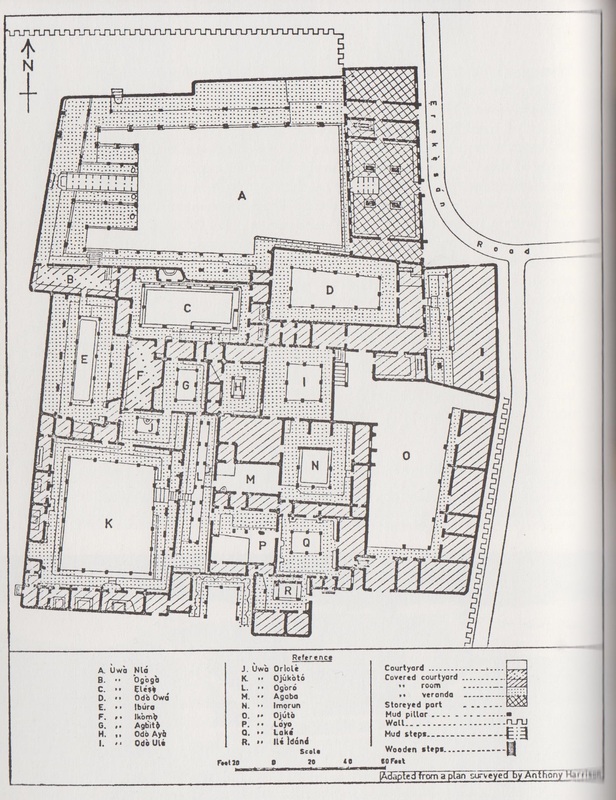 Plan of the palace of the Deji of Akure, showing how complex great African buildings may be. North of these pagan civilisations was the great Islamic empire of Mali. Access to a plentiful supply of gold made it one of the richest civilisations in West Africa. So rich, that when its ruler passed through Egypt in the 12th century on the hajj, the Muslim pilgrimage to Mecca, the amount of gold he and his retainers carried was so great that it actually through the country into a recession. Mali was also an important religious and intellectual centre, in which the scientific literature of the Muslim world also circulated. Scholars have uncovered vast libraries of ancient manuscripts preserved in the empire’s mosques from the Middle Ages. Amongst the treasures of this civilisation are manuscripts of the heliocentric system, showing the Earth and planets moving around the Sun, which Muslim scholars discovered independently of Copernicus about two centuries earlier. 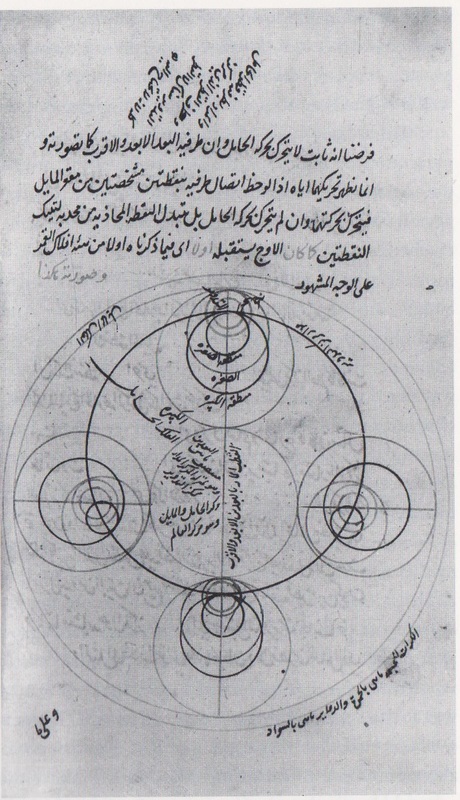 Non-Ptolemaic Model of the Moon’s orbit, produced by the Turkish astronomer Qutb al-Din al-Shirazi in 1285. Similar works were copied and circulated amongst scholars in Mali. Further south, in Zimbabwe, is the great stone fort from which the country takes its modern name. This vast structure is so impressive that previous European scholars could not believe it had been built by Africans, and instead attributed it to the Arabs or Chinese. I’ve got a feeling that some of the Ufolks may well believe it was built by ancient space aliens. Examination of the ruins themselves, however, show that it is indeed African in design and construction, similar to the way wooden houses are built by the peoples of the area. There may also have been many other African civilisations, of which we currently know little, simply because the evidence for them has not survived. Africans tend to build in wood, rather than stone, a material that is particularly vulnerable to the continent’s climate and attack by termites. We only know of those civilisations that have either survived to the present day, such as Dahomey, Ashanti and the other contemporary Nigerian cultures, or who built in stone. Other civilisations may have existed which built in wood, the evidence for which perished over the centuries. However, merely because the evidence has not survived, does not mean that such civilisations weren’t there in the first place. The Kippers racially abusing and insulting Umunna thus reveal just the extent of their own vile bigotry, but also how little they know about human evolution and African culture and civilisation. While these are fairly exotic topics, they’re not so arcane that only a few scholars know about them. There have been some excellent TV series on them, aimed at the general public. These include The Incredible Human Story on the BBC, presented by Time Team’s own Dr Alice Roberts. The BBC also produced a series on human evolution, presented by the avuncular, moustachioed Dr Robert Winston. Further back in the 1990s, Channel 4 also screened a series on human evolution, which presented the case that the early human colonist of Europe were actually Black. Again, an entirely respectable viewpoint, considering that all modern humans arrived out of Africa. As for African civilisation, there have been a number of blockbusting series. Back in the 1980s there were a couple, one on BBC 2, presented by the Black African scholar Dr Ali Mazrui, and another on Channel 4 presented by the White afrocentrist historian, Dr Basil Davidson. More recently, BBC 4 and 2 screened a series, Lost Kingdoms of Africa, presented by a Black British art historian. I’m afraid the only thing I can remember about this chap’s name is that he was Gus somebody, and his name was double-barrelled. And that, like all archaeologists and intrepid explorers, he wore the de rigueur Indian Jones felt hat. This was also well worth watching, and there was a book to accompany the series. It’s great series like that which provide the strongest argument for retaining the BBC, and keeping television out of the mitts of Murdoch. Terrible atrocities and crimes against humanity are being committed in Africa, by kleptocratic dictators and army generals, who are a blight on the human race. These have gained power partly through the profound economic and social problems of their nations, but also through the complicity of Western politicians, industrialists and financiers. The difference and superiority of western, scientific and industrial culture is only very recent. Western Europe only began to overtake Islam scientific and technologically in the 17th century, and there were still areas in which the Muslim world was superior in the 18th. Well into the 19th century, much of western Europe was ruled by absolute monarchs, whose societies rested on serfdom, the effective enslavement of their peasants. One American historian of the Balkans has pointed out that while the Turks in the 19th century were seen as barbaric for taking the heads of those they slew in battle, this was actually common amongst American bounty hunters out West. Before the development of cheap, efficient photography, the only way you could prove that you had successfully hunted down and killed a dangerous criminal was to take their heads. Africa is beset by many severe problems, but this is not because its people are somehow less ‘evolved’ or ‘uncivilised’. Indeed, for much of human history, the opposite has been true. 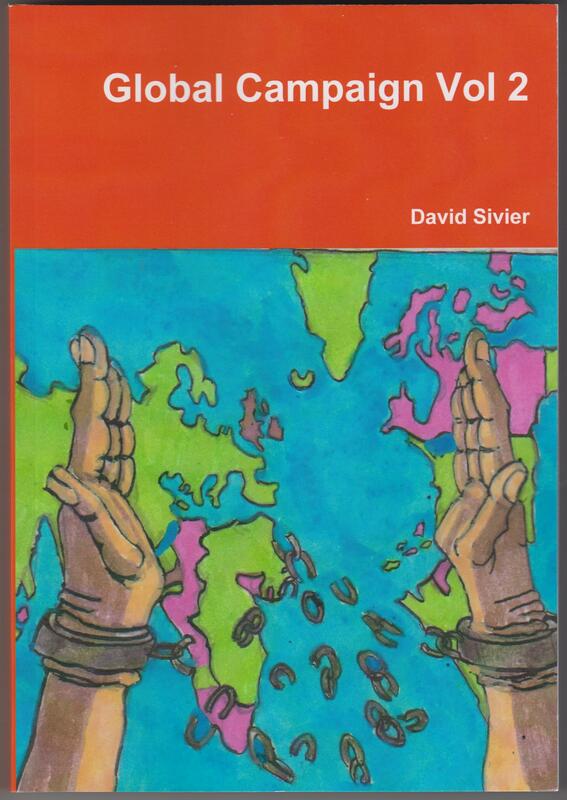 The continent’s problems come from a number of causes, which include the legacy of colonialism, a corrupt and unfair international economic system, and simple pure, unrestrained human evil. The last knows no difference in colour, and affects every culture. Including the upper echelons of the Tory party, and even now clouds the judgment of Kippers towards their fellows.